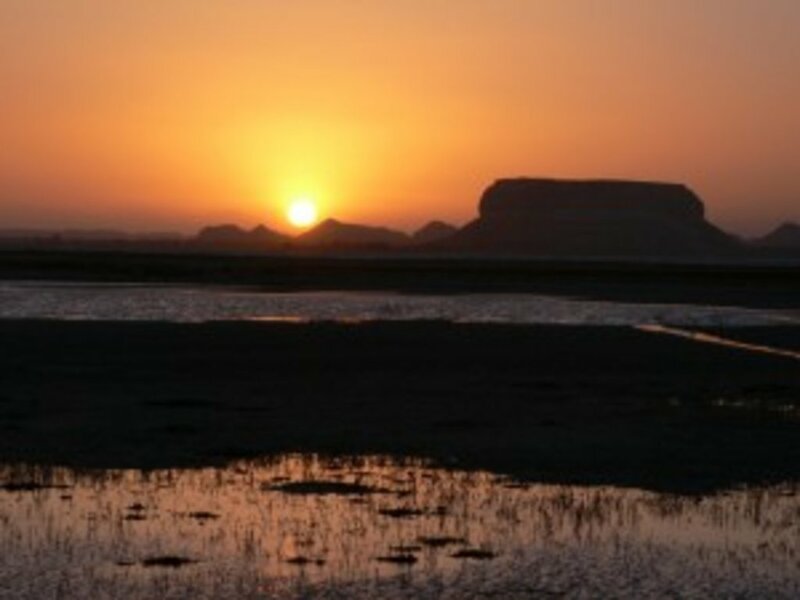 The desert oasis of Siwa in Egypt has a seductive quality and laid back atmosphere that makes you want to chill out and relax, which you'll probably need to do after the long drive or bus ride from the nearest city of Alexandria. 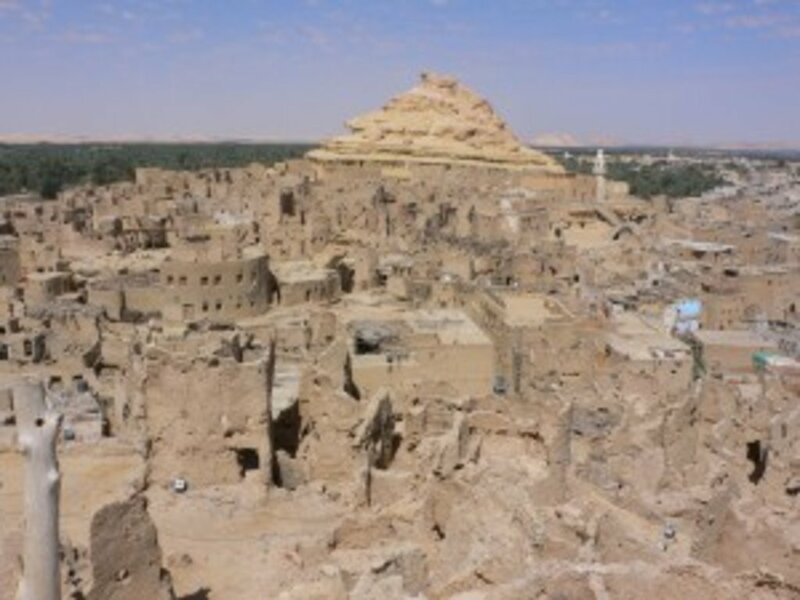 Siwa is larger than it first appears, with a population of 25,000 people, a busy market square, two freshwater lakes and date plantations stretching out as far as the eye can see. Being so far from anywhere, Siwa has a unique culture of the Berber people, with its own language and traditions that make it unlike anywhere else in Egypt. For one thing, you won't see many local women around, unless they are being driven around on a donkey cart by their husbands or sons, wrapped head to toe in long robes. It's easy to walk to most places in Siwa, but you might try riding in style on one of the donkey carts that you can hire in the market square. Your hotel can easily make arrangements for an English-speaking guide to accompany you to see some of the fascinating ancient sites. One of the first places you'll visit will be the Temple of the Oracle. It was built in the 6th century and dedicated to the God Amun. The temple is famous for the visit paid in 331BC by Alexander the Great who reputedly came to consult the famous Oracle of the temple. Now the mainly mud walls are crumbling, but as you climb up through the various rooms you reach the heart of the temple with stone pillars and carvings and a great view over one of the freshwater lakes. 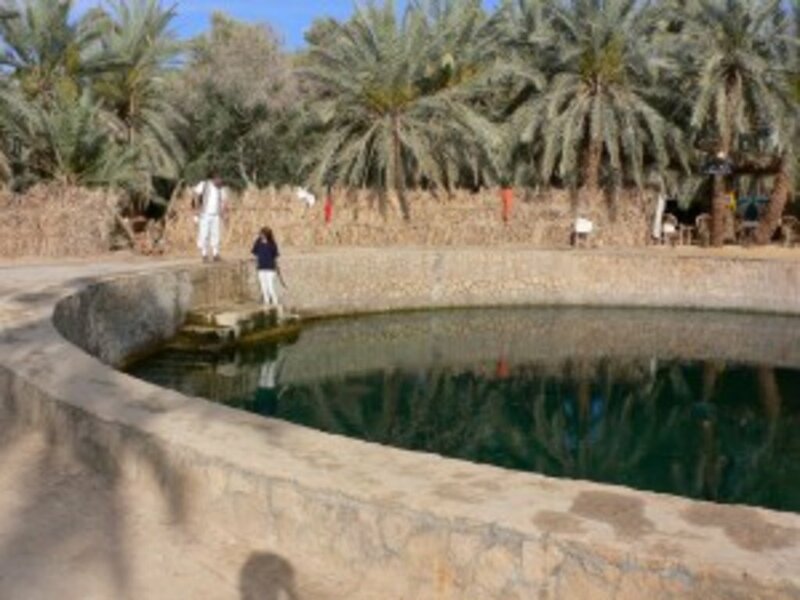 Next your tour will take you to Cleopatra's spring, the largest of the natural springs in the oasis. There's no evidence that the Queen of Egypt ever came here, but it is nice to think of her as you sit in the shade of the date palms and sip a mint tea in the cafe next to the spring, where there are local souvenirs on sale. There are steps down into the spring if you want to bathe, but ladies you need to cover up to avoid giving offence in this conservative society. 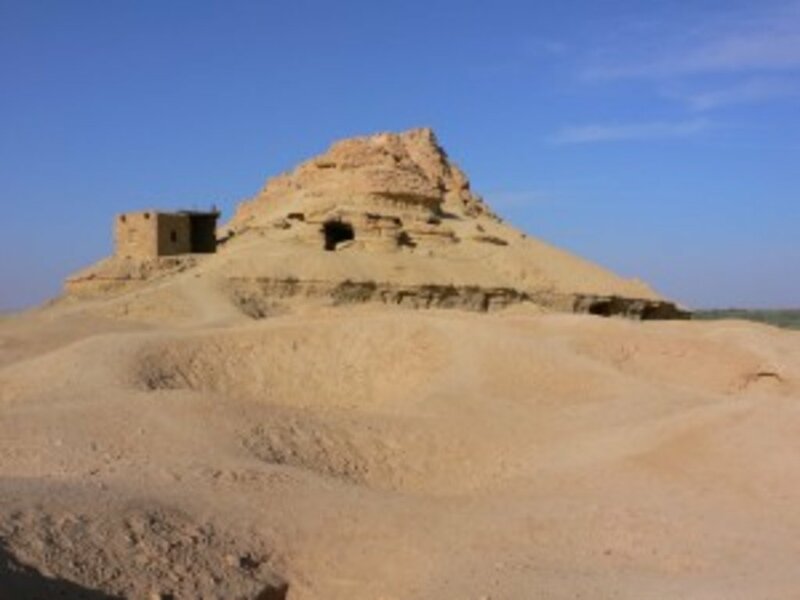 It's worth making the effort to head a little out of town to the ancient burial ground of Gebel al-Mawta (the Mountain of the Dead) that is pockmarked with the tombs of the Romans and Ancient Egyptians. Although ancient manuscripts talk of the hidden tomb containing the treasury of King Khuaybis, anything contained in these tombs has long since disappeared at the hands of looters, leaving a landscape of craters on the hillside. Climb to the top and you can sit with the wind blowing around you and take in the views over the oasis. By paying your entrance fee at the small kiosk at the bottom of the hill, the caretaker will unlock some of the ancient tombs to show you, which are beautifully decorated with wall paintings. 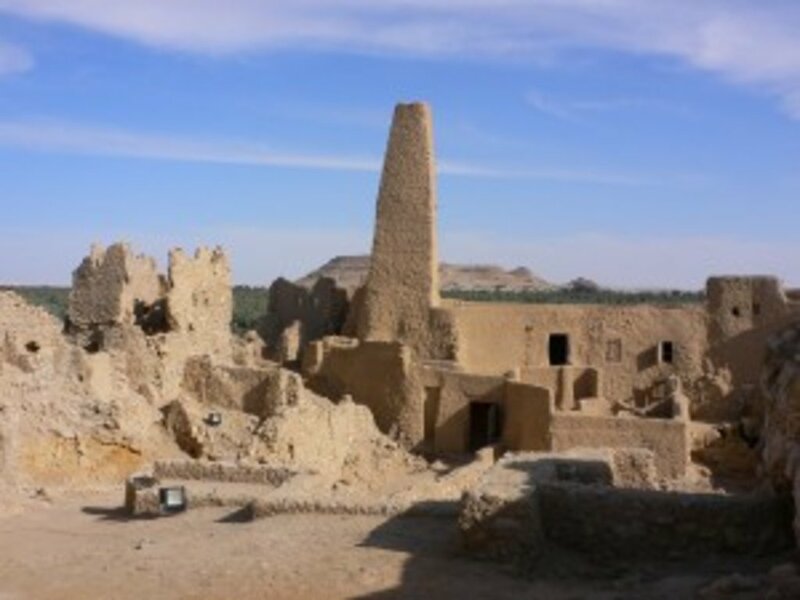 In the central part of town is the Shali, the old fortified town of Siwa that was built in the 13th century using salt rock called karsheef mixed with mud bricks that harden in the sun. This honeycomb of houses and alleyways contained courtyards where women could relax with their families away from prying eyes. The whole fortress of the Shali could only be entered through a single gateway, giving it protection from nomadic raiders. In the 19th century, families started to move away to more modern housing and in the 1920s an unusual period of rainfall destroyed the houses further until the Shali was eventually abandoned. Now the houses that once rose over several stories have walls that are broken down, making an alien looking landscape that you can pick your way through. 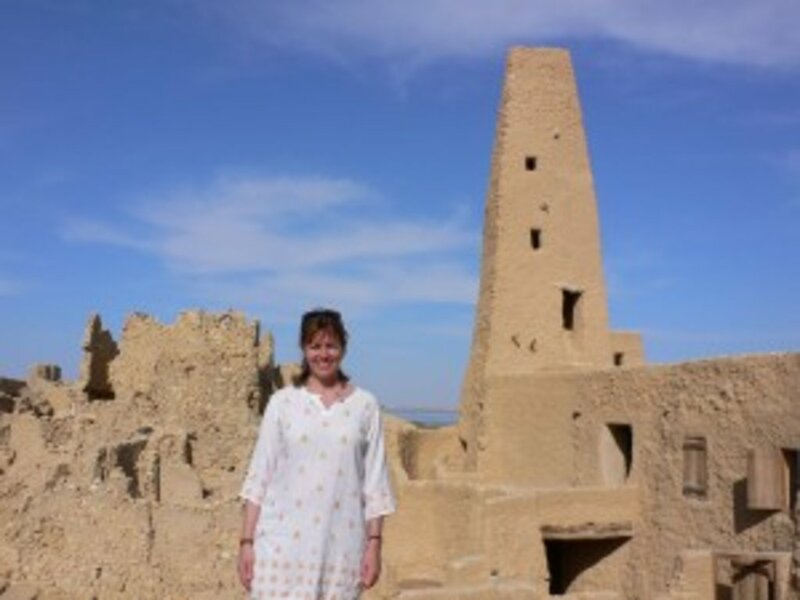 The top of the Shali is another high point in Siwa and you can look down on the rooftops and palm plantations and out into the desert. 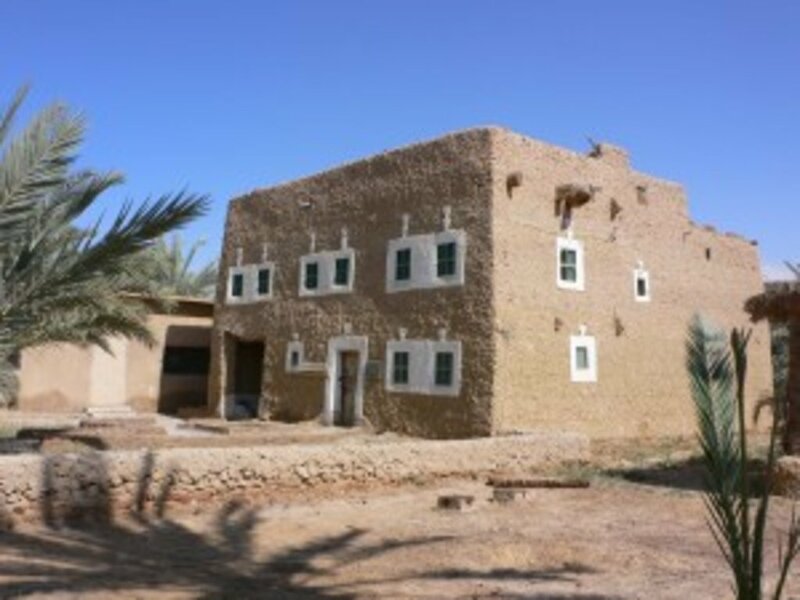 If you want to learn more about the culture of Siwa, I highly recommend a visit to the House of Siwa, which is built using traditional techniques using date palms for the beams and mud brick and karsheef for the walls. 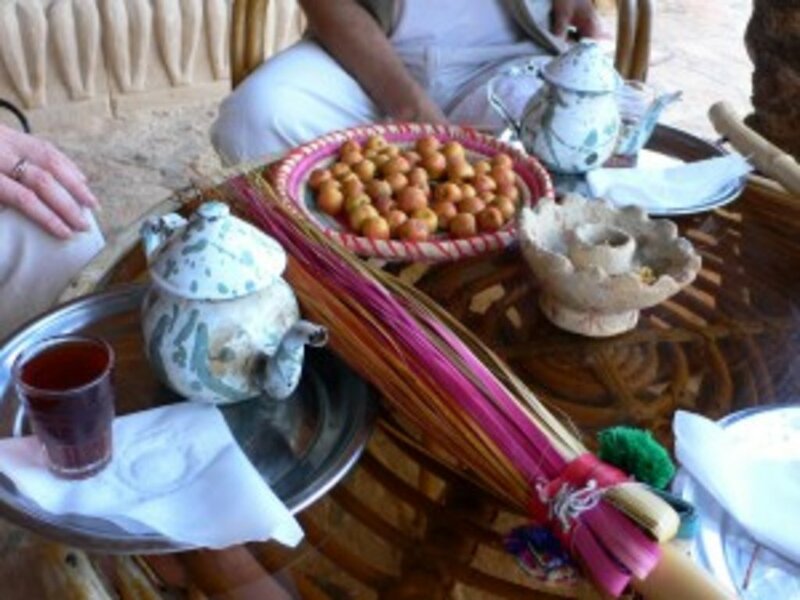 Ask your hotel to ring ahead and check that the curator or an English-speaking guide can be there to explain to you some of the features of Siwa culture, which is fascinating. We were told how the beautifully embroidered dresses on display were wedding clothes, made using silk, natural dyes of green, red and yellow from the date palms, and mother of pearl buttons that were traded from the coast. Under their veils the women wear their hair in intricate braids in different numbers and directions across their foreheads, depending on their marital status. Upstairs in the museum the rooms are laid out with traditional furnishings and household objects as in a typical Siwa home. The perfect way to end the day is to take a taxi or donkey cart to Fatnas Island, a small island on the salt lake that is reached along a causeway. The water level has fallen in recent years, so the lake is somewhat marshy, and you can sit under the date palms to watch the sun go down. The local guardian had a small kiosk that serves mint tea, and at the entrance to the island is another circular spring where the tiny bubbles of water stream up from the green depths. When we left it was all in darkness and we had just the stars to guide us back to our hotel, while the guardian jumped on his motorbike and followed us back into Siwa. The closest major airport for Siwa is Alexandria on Egypt's Mediterranean coast. From there you can drive, with an overnight stop at the popular resort of Marsa Matruh, or take a nine hour bus ride or shared taxi from Alexandria. Siwa is close to Egypt's western border, and the best time to visit is from December to March with warm sunny days in the low 20's Celsius. Siwa is well away from the hot spots of political unrest around Cairo, but you are advised to seek local advice before you travel.